In a previous post (Why 3D Works), we spent some time trying to explain why 3D is such a compelling medium in the marketplace, especially for students. This post dares to explain "why 3D counts"—why 3D may hold promise for the classroom, for promoting interest in STEM careers, and for pushing math and science achievement forward. At the ISTE 2010 technology conference, I met a remarkable Russian computer scientist, now residing in the U.S., who pointed me to the insightful "meta-analysis" by Dr. Nora Newcombe. I procrastinated for 6 months before I took a closer look. That was a mistake! A link to the 'aha!' article is provided below. Read on. It's well worth your time. Seriously. In a previous post, I mentioned that I wanted to revisit the tools that could be used for students to construct their own 3D content. We started to see the emergence of these tools at the ISTE 2010 conference, and now is the time to make good on my promise to cover this territory. To quote, Texas Instrument’s Jaime Beringer, last year’s question was “Where is the content?”Now it’s “When can I create my own content?” I believe that all 3D content producers should provide authoring tools to accommodate the student-constructed content development space. Dr. Hilliard Jason (M.D., Ed.D. ), a clinical professor with the School of Medicine at the University of Colorado-Denver and the former editor of Education for Health: Change in Learning and Practice, offers an interesting explanation as to why 3D may be so appealing to our younger generations. I cornered Dr. Jason at the fall CU COLTT 2010 technology conference for this on-the-spot interview. I appreciate his insight, which is based on his work in brain research, how the body works, and his sense-making of very recent literature. "I agree. That video makes a very good point. In fact, our brains need to learn to accommodate 2D images as an impression of the real world. We all learn to do this at a young age, so we don’t appreciate the compromise anymore. It is ironic when you think of it this way that 3D images are now considered something that we need to learn to accommodate…." What is your reaction to this post?... at AnswerGarden.ch. Wow! What was this? Had stereoscopic 3D technology made its way into rural and rustic backwoods Colorado? I was compelled to find out. My imagination leaped like a Colorado antelope over a prairie fence. What would this be? A chance to be in a 3D movie shoot? A new 3D nature film being screened in the community hall? A 3D symposium being held in the authentic backchannel of Colorado's pride? A 3D shooting arcade? Leaders and educators in the country of Poland were worried that the nation's youngest citizens are forgetting or will never truly understand the horrors of World War II, the suffering of the Polish people during the Warsaw Uprising of 1944, or the devastation this war brought to their country. For that reason, we recently witnessed the completion of a huge undertaking: the 3D reconstructive filming of the most destroyed city in World War II, Warsaw. September 5, 1944 in Warsaw. Public Domain. I mention this movie, City of Ruins, because it represents perhaps the most moving effort to date to use 3D, a media form that young people are very familiar with, to reach out, to educate, and to replant memories that somehow must never be forgotten. Another interesting aspect to ISTE 2010 was my own TEDx Denver Ed speech focusing on what 3D means for education. Thank heavens for amazing editors, who were adeptly gifted at removing my nervous mistakes! Take a look! In the closing days of June, over 17,000 technology educators and exhibitors stormed the mile-high city of Denver for the ISTE 2010 conference. I have attended many ISTE conferences over the years, but this was the first conference I can remember with such a strong and persistent 3D-thematic presence. Third, the exhibit hall was flush with a 3D-related presence, including Texas Instruments, Cyber-Anatomy, JTM Concepts, DesignMate, Reallusion, XpanD, AV Rover, RealD, and a myriad of projector companies featuring 3D-ready projectors. Other well-known companies were also whispering to key clients about future plans in the 3D space. Finally, the conference also evidenced the emergence of a few companies supporting 3D content creation by students. Now that's interesting. We'll discuss that development in more detail in a future post. In our Future-Talk BLOG, I haven't spoken much about the 'constructivist' fifth column of our 3D taxonomy—student content creation. But that's about to change. One of the most interesting projects in the country focusing on 3D stereoscopic content creation by students comes out of rural North Carolina's Richmond County Schools. In 2009, a unique program was started in Richmond County Schools, a rural community in North Carolina. IT Director Jeffries Epps and seven high schools students developed a project to teach students to create 3D models of objects that teachers could use to introduce new concepts during instruction. Epps states, "With only 10 hours of instruction, the students were working with a geometry teacher creating objects and animations that explained the concepts of transitions and rotations. Our i3D Internship was born." Now more than a year later, Epps and two of the original seven interns have set their sights much higher. Richmond Senior High School is hosting "The Summer of Kainotomia 2010." (Kainotomia is the Greek word for innovation.) This summer internship teaches students the fundamentals of Java Script Programming, 3D Modeling, and 3D Simulation. Students from six regional high schools are participating. Jeff Epps and Grady Lorenzo, a senior at Richmond Senior High, preview Lorenzo's 3D simulation of a space rover to be used to teach the human circulatory system. In this post, I originally groused (in reference to 3D movie or movie segments): "There's not much educational value there, except the 'grab' factor. Don't stay fixated here too long." Well, live and learn. I was a bit wrong. At the ISTE 2010 national technology conference in Denver, I spoke with Dr. KJ Brar, who is the president of Designmate (www.designmate.com), perhaps the largest producer of 3D content in the world. After some thoughtful conversations with Dr. Brar, I learned something quite important. Although movie segments are indeed more passive learning experiences than their other cousins on the 3D content taxonomy, they can still play a very important role in 3D learning. When tightly tethered to interactive simulations, 3D movie segments can provide the sound base of knowledge and context that students need in order to fully explore a simulation and firmly understand the concepts being presented. Although 3D movie segments have less value when they stand alone in instruction, in tandem with interactive simulations, movie segments have real value. Now, six months after I spoke with Dr. Brar, his words have borne out in our classrooms. Short video segments are indeed highly effective. One of the most interesting things I am seeing develop in 3D teaching lately is the combining of 3D visualization techniques with hands-on activities. Both Lauren Sanders of the Shelton School (Dallas) and the BVSD Douglass Elementary team (Dawne, Lynn, and Holly) are designing and using lessons that combine a visually rich 3D interactive presentation with individual hand manipulatives or desk-based activities. Lauren has used manipulative cubes along with her 3D images, while the Douglass team plans cleverly to use acetate sheets for hands-on reinforcement, practice, and transfer of learning (see the lesson plan thumbnail below).. The combining of visual manipulatives or experiences with hands-on manipulatives is an effective practice that has been used in lower grade levels for years, and using it in conjunction with 3D visualization is a very thoughtful connection. And it promises to be effective in transferring abstract concepts to very physical levels of understanding for children. Here's an unabridged version of my recently published article, "3D Comes to School." This article highlights some of the best approaches in exploring 3D, and it highlights the benefits of using various content providers and folks who can help you get started (integrators). The magazine-published version suffered through the excessively sharpened scalpel of seasoned editor, so this version will serve you with much better detail. · Description: a comprehensive high school in Louisville, CO.
· Description: an elementary school in Boulder, CO.
· Description: A day treatment educational facility and treatment program supported through a multi-agency agreement among the Boulder Valley School District, the Mental Health Center serving Boulder and Broomfield Counties and Boulder County’s Department of Housing and Human Services. These amazing 3D scenes/logos for our 3D Case Study Project in the Boulder Valley School District were created by BVSD science teacher extraordinaire, Jack Ganse. He teaches at Eldorado K-8 in Superior, Colorado. 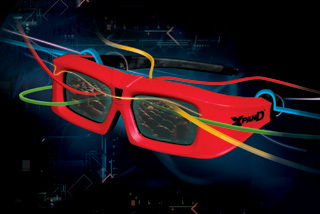 In January, 2010, the world witnessed the fanfare-laden arrival of 3D television in the consumer marketplace. Most 3D TV content is initially coming from Discovery and ESPN, it appears. You can read about it in this CNN article. I know one BVSD teacher who has already purchased this new type of TV set, but the price is still prohibitive: $3000 per set. Where will this head? During the last winter Olympic games, the nation was invited to view the Olympics in 3D. The familiar "3D" catchphrase is used here, but I am uncomfortable with the thought that it is really the same thing we have been discussing in this blog. The key questions are: "Are virtual walkthroughs, tours, or flyovers really 3D or are they merely simplified representations of 3D in a planar image?" "Is a Google Earth community flyover a true 3D experience?" "Is a 3D Art Gallery or a virtual open house walkthrough really a 3D or more of a first-person observer point of view?" So far, I am still in deliberation; I am still trying to wrap my mind around where this particular "3D" concept fits. My preliminary instincts suggests that this is simply a first-person precursor to the stereoscopic 3D we have been discussing in this blog, that it is not really 3D because it doesn't come out of the screen or show strong depth of field. On the other hand, it is not as passive as watching a 3D movie, and may therefore fit our 3D taxonomy somewhere between movies and learning objects. But how do we justify that with a 2D planar image? More to come on this topic later, but for now, consider exploring the links above. Guess what has tiptoed into BVSD? You've got it---3D comes to BVSD. In the thumbnail below, please find the Call for Participation we used for soliciting proposals and selecting our eight 3D pilot classrooms (grant funded). This document will give you concrete ideas on how to shape, propose, and select participants for a 3D project in your own school or university. Get your 3D shoes on! These are the projectors we selected through a comprehensive competitive analysis and bidding process. They offer us a 5 year warranty and the best classroom visual sharpness we've ever seen, enabling students to read screens clearly, even from the back of the room. See Vivitek. There's an old saying: "All politics is local." Well, so is 3D technology. Many of those of us living in Colorado, or more specifically, in Boulder, are unaware that the technology behind many of the most famous 3D movies has a homegrown face. Check out this link to RealD to see how! You can find out about the presence of 3D school or university projects—or 3D industries in your own state—by simply using this search phrase in Google: stereoscopic 3D Boulder (but use the name of your city or state, instead of Boulder). Explanation: Full-length 3D movies, or video segments designed professionally (with Hollywood or production studio quality). Blog Author's Commentary: There's not much educational value here, except the 'grab' factor. Don't stay fixated here too long. Explanation: A large library of easily accessible 3D objects, focused video shorts, and models (e.g., the solar system, DNA, atomic particles, geometric shapes, landforms, and maps) that are used by the instructor to clarify working components, concepts, relationships, comparisons, and/or misconceptions; these objects may be easily shown, rotated, or labeled. Blog Author's Commentary: An essential first tool in the 3D educator's toolkit; however, the educator will need to employ high-level strategies (kinesthetic connection, higher-order thinking and questioning, focusing on misconception, and/or peer teaching) in order to maximize the educational potential of 3D learning objects. Firms that produces quality 3D learning objects include DesignMate and NavTech. Explanation: A small, interactive simulation of an object, process, or phenomenon; interactivity implies the ability to manipulate, change, vary, layer, and/or simulate; in essence, this is a learning object with a limited degree of built-in interactivity. Blog Author's Commentary: Micro-simulations are practical tools and a step up from non-interactive learning objects; still, the educator will need to employ high-level strategies (described previously under learning objects) in order to maximize their educational potential. Firms that produces quality 3D learning objects include DesignMate, JTM Concepts, and NavTech (also see this NavTech link). Explanation: An interactive experience that imitates, models, or replicates more complex phenomena; simulations allow learners be in places they normally cannot be, allow learners to change variables and thus explore the simulated environment, or take learners on a 'discovery' journey with a concrete end in mind. Blog Author's Commentary: This stage starts to recognize and build smartly on the power and potential of 3D learning. A pre-eminent publisher of this type of content (as well as micro-simulations and learning objects) is Illinois-based JTM Concepts. Explanation: Enabling students, with appropriate 3D camera technology and programming skills, to produce their own 3D videos, learning objects, micro-simulations, or interactive simulations. A firm that has experience with student-driven content creation is also NavTech. Check out this Link. Blog Author's Commentary: In case you didn't notice beforehand, these five categories of 3D content easily correlate with the new Bloom's taxonomy for digital media. Clara Peller’s infamous invective, “Where’s the beef?” becomes our starting point here: why bother with 3D in the first place? Isn’t this just another eye-glazing entry in the long line of technology-based distractions? That’s initially where my thoughts took me, I must confess. Beyond the obvious populist growth of 3D visualization in film, video gaming, and military training, what does it have to offer teaching and learning? Notwithstanding heavy National Science Foundation funding of 3D visualization technologies over recent decades, understanding the power of 3D in learning remains a budding effort in the research pipeline. Some recent research in K12 classrooms, however, may point the way toward the effective use of 3D in reducing the achievement gap, especially for target populations. Clearly, we need to continue exploring and researching the potential of 3D in learning. Movie theaters are not at all like the classroom, however. Let’s take a look at three practical questions about 3D in the classroom: What does it look like? What do we need to do this? What does it cost? Well, for now we’ll have to use the underwhelming and often insufficient nature of words to help you ‘see’ what 3D looks like in the classroom. At their worst, 3D images or videos have an appealing depth to them. They are quite interesting, certainly appealing to the attending function of the brain. At their best, however, 3d images or videos become altogether holographic, jutting out of the screen or reaching into the personal space directly in front of each viewer. Until now, bringing 3d to the classroom was an expensive proposition. For example, seven years ago I visited a showcase community college classroom with this capability—40k was the price tag. Three years ago, another 3d school project came in at a mere 13k per classroom. Those prices certainly reflect complete impracticality within normal school settings. But things are rapidly changing. Prices are dropping significantly. 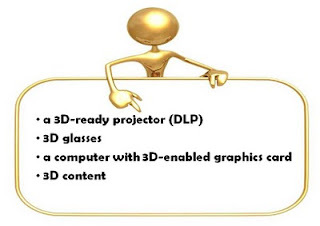 The 3D technology now comes integrated without cost into most modern DLP projectors, requiring only a single projector; 3d-enabled computer graphic card costs have dropped from $800 to $120; 3D glasses are trending down (last year dropping to $150, sinking to less than $99 by last fall, and will likely level off at $35-50 per pair very soon; and more and more 3D content is becoming available. One promising projector capability (soon to arrive to a school near you) is the ability to project 3D images inexpensively, and with remarkable quality. You know, 3D like in the movies—Toy Story, Ice Age, or G-Force. If you’ve been going to any movies lately, you may have noticed that the 3D theater marketplace has been noticeably increasing. Expanding from just a few titles a year, we’ve seen the commercial release of over twenty 3D films in 2009, and more than fifty in 2010. Interestingly, more than a hundred 3D films are now in planning or production for 2011, queued for release by Hollywood. 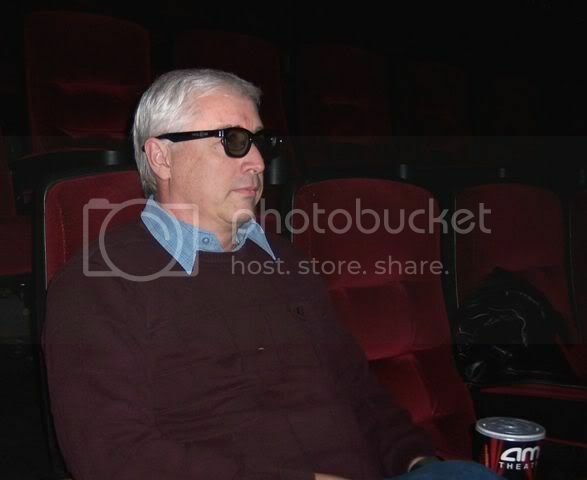 To see a picture of Len at the Dicken's Christmas Carol 3D movie, click here. 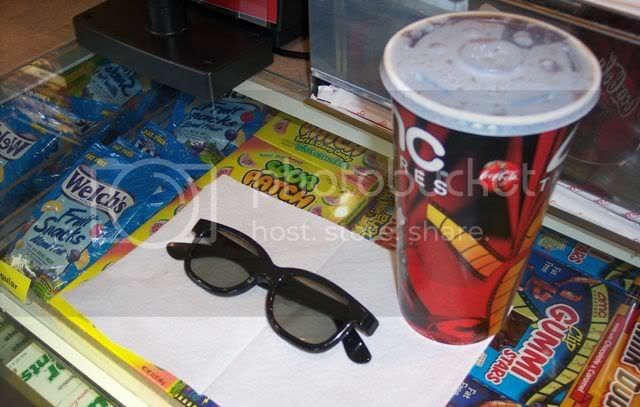 To see a close up of the newest movie goers' essentials click here. 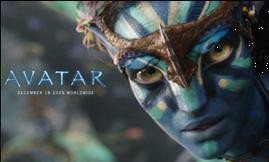 One 3D film, in particular, seemed to revolutionize the way we think about the scope and possibilities of 3D viewing: the movie AVATAR represented a ground-breaking technological leap for 3D visualization (along with a compelling environmental story). More than a year ago, I had the privilege to travel to the headquarters of Texas Instruments (TI) in Plano, TX. The occasion was guided by the notion of assembling a four leading school districts, gaining a glimpse of the future of projector technology in the classroom, and engaging in an actionable pilot using some of these future technologies. You see, TI makes the famed DLP chips that are part of projectors in classrooms and movie theaters across the country. TI doesn’t make the projector, itself—but they do own a voice in the technical fabric of what projectors have been able to do and will be able to do in the future. This is no small enterprise, by the way. Largely recession proof, growth in the educational projector market represents the largest, most profitable, and most promising part of TI’s business for the foreseeable future. In this blog I plan to address, in an educational context, the question: “What will the future of projector technology bring to teaching and learning?” We begin with 3D. 2011 Update: This blog first appeared in the last month of 2009. It has experienced a wonderful following, but was constrained by a restrictively managed SharePoint hosting environment. In January, 2011, I began the arduous process of moving this blog to an environment that is more participatory and media-resource friendly. In doing so, I have updated all of the original posts to make them immediately relevant to the reader. This compelling through lines of the “3D in education story” are thus preserved, while February 1, 2011 marks the continuation of an amazing educational story. Please join me in this journey of discovery. All readers are encouraged to contribute, question, and imagine by taking an active role in this blog.